Snack packs are perfect for healthy snack like dried fruit, nuts and seeds for kids or adults alike. Reduce your weekly shopping bill by buying in bulk and encourage healthy eating. Help reduce your carbon footprint by cutting down on packaging waste sent to landfill. How do I fill my Kai Carrier snack pack? Open the snack pack ziplock. Push out the bottom of the snack pack to maximise the volume available. Fill with delicious food, but don’t overfill – the ziplock must be free of food to seal. Can you microwave Kai Carrier products? Kai Carriers are microwave safe. The materials used in the manufacture of Kai Carriers have USFDA food approval. This is valid to a maximum of 90 degrees Celsius for direct food contact. If you do choose to microwave the pouches, ensure that the zip lock is open, heat on 50-70% power and always stir and test the pouch contents prior to consuming, as microwaves heat food unevenly. Note that microwaving the pouches will reduce their lifespan. The manufacturer’s recommended method for heating pouches is to sit them in a container of warm water and allow them to heat through, especially for baby food. How do I clean my Kai Carrier products? Kai Carrier products have been designed using clear BPA free plastic so that you are able to see if any food is left in them. This is an important design feature and will help ensure you are able to clean the pouches effectively and reduce the chance of contracting any food related illnesses. Kai Carrier products are dishwasher safe (top rack), but can also be effectively cleaned by hand or with the specially designed Kai Carrier scrubbing brushes. Our brushes are rounded at the ends to help get into all the corners. Push the brush into the pouch and use a twisting motion. The brushes also come with a small brush (located in base) which is the perfect size for thoroughly cleaning the spout of the pouches. If food is caked on, fill pouches with warm soapy water and allow to soak, until food softens and can be washed away. We recommend rinsing products prior to placing over the prongs on the top rack of the dishwasher to remove any excess food. Always ensure that all food is removed from the zip locks as this may impact on how well they seal next time you use them. Kai Carrier holds no responsibility for any health issue or otherwise that may arise from consumers’ food hygiene practices. What are Kai Carrier products made from? 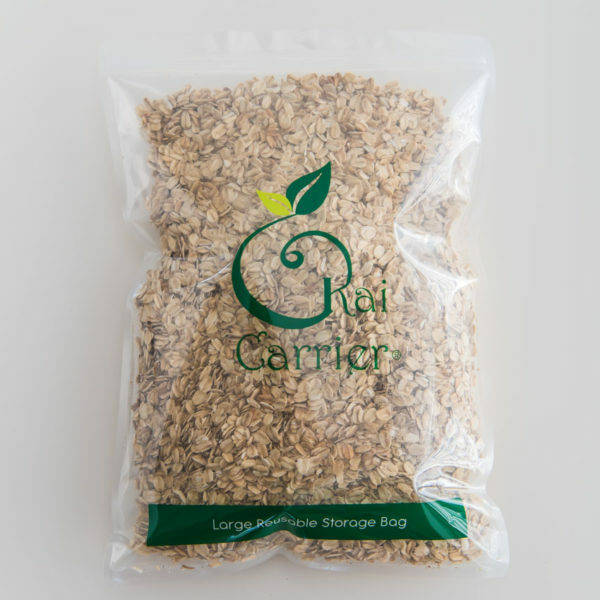 Kai Carrier products are made from BPA, PVC and Phthalate-free plastic. Unlike some products, the plastic used in Kai Carriers contains no nasty chemicals that could leach into your food. The materials used in the manufacture of Kai Carriers have USFDA food approval. Can Kai Carrier products be recycled? The great news is that once your pouches have served their time and are no longer functioning as they should they can be recycled. Every time you use a Kai Carrier product you are preventing a single use package or food wrap from ending up in landfill or our precious oceans.